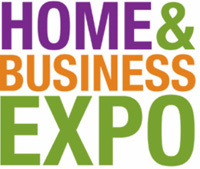 Please Visit our Chamber Website for Current Events! The UniBank Blackstone River Valley Greenway Challenge. 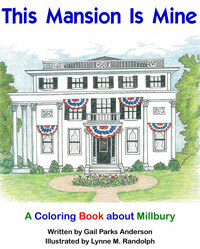 The Mansion Gift Shoppe is proudly introducing the new Asa Waters Mansion coloring book for children of all ages. “This Mansion Is Mine,” written by Gail Parks Anderson. Additionally, the author and illustrator will be on hand to add a personalized inscription at the Mansion's Shopping Day on Saturday, May 4, 2013 from 9 a.m. to noon. Proceeds benefit the preservation of the historic Asa Waters Mansion. For further information call 508-865-0855 or email watersmansion@aol.com. Experience this panoramic region of 400,000 acres that is revered for magnificent fall foliage, quaint New England villages, farm stands and fruit groves for the picking, vibrant outdoor recreation, and a spectacular display of American architecture through the ages. Located in the heart of New England, stretching from Worcester, Massachusetts to Providence, RI. The Blackstone River Valley of Massachusetts consists of the 11 towns of: Blackstone, Douglas, Grafton, Hopedale, Millville, Uxbridge, Upton, Sutton, Northbridge, Millbury and Mendon. The Blackstone River Valley is a National Heritage Corridor called the John H. Chaffee Blackstone River Valley National Heritage Corridor, an affiliate of the National Park Service . 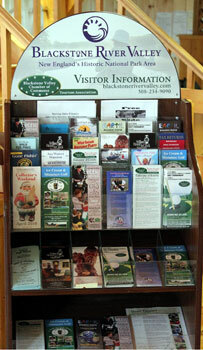 To access Rhode Island information visit Tour Blackstone Rhode Island.